Brats, pretzels, nachos, even some old-fashioned peanuts: All are reliable staples of concession stand food. But there is something unmistakably satisfying about eating super-garlicky fries when watching football. Hot, crisp french fries coated in strong garlic, salt and herbs are so easy to devour and a perfect excuse to lick your fingers. Lots of NFL stadiums claim to have them, but Levi’s Stadium—which also happens to be hosting a certain game this Sunday—is conveniently located just 40 miles from the garlic capital of the world, Gilroy, California. So those at the Super Bowl are going to get some of the most garlicky fries possible. But for those of us who aren’t planning to spend half a year’s salary to attend the game this weekend, we tapped our food resources at the NorCal Stadium and got their recipe. 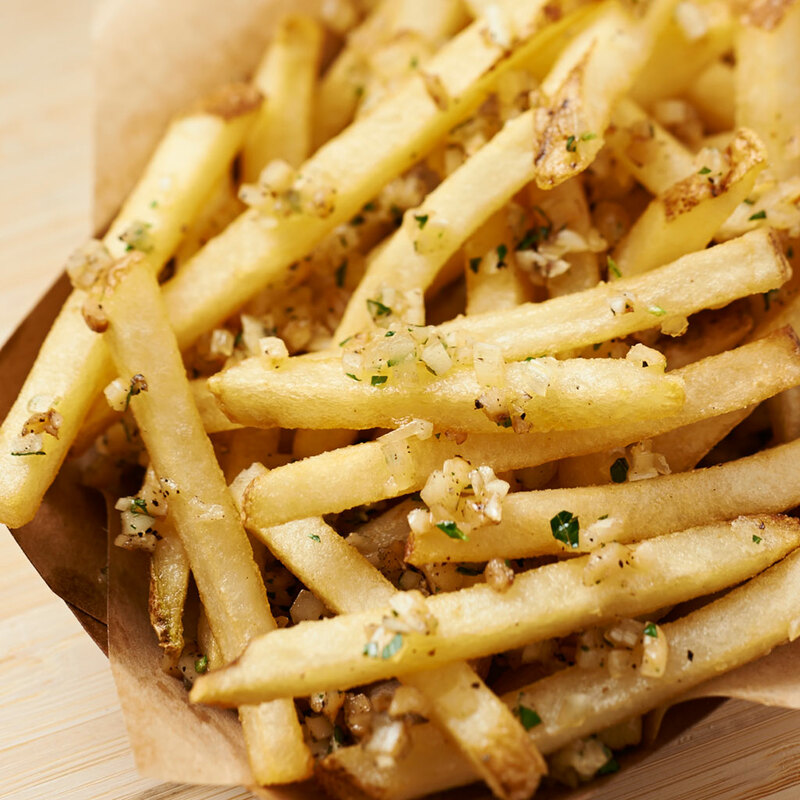 Yes, now you can inhale as many garlic fries as you want and not have to pay $13 for a beer. 1. Fry french fries until golden brown. 2. Drain well of oil or blot on towels. 3. Combine olive oil, chopped garlic and fresh parsley in a large mixing bowl. 4. Fold in the fries and toss until fries are well-coated. 5. Season with kosher salt and ground pepper.